An iconic brand when it comes to veggie burgers, Boca Burger offers some of the most widely available meat alternatives in the U.S. While not all Boca products are vegan (some contain dairy and eggs), the company makes several burgers that are completely plant-based, as well as vegan chicken patties and veggie grounds that can be used in a variety of recipes. But some Boca products are better than others, and after the release of the brand’s new vegan turkey burger, I decided it was time to revisit some of these classic veggie meats and rank them from best to worst. The company’s new product is its most impressive. The first vegan turkey burger on the market, this patty is made with non-GMO soy and contains 13 grams of protein per serving. If you liked turkey burgers, this plant-based alternative from Boca is sure to please. These crumbles are recipe ready! Add them to your favorite Bolognese recipe, make tacos, or use them pretty much any way you’d use ground meat. One of the easier meats to replicate, this product ranks high for flavor and versatility. Vegan chicken products are some of my favorite meat replacements, and what better comfort food than these chik’n nuggets?! Great in the toaster oven, these are ready in a pinch and great for the little ones in your life. Just like the nuggets, only bigger. The chik’n in these patties is less firm than I would like, but the breading is yummy and this product would be a nice addition to sandwiches or salads. Heck, you could even make chik’n Parmesan! These chicken-style patties are coated in spicy breading, which offers some distraction from the mediocre texture of this product. I’d recommend adding avocado, vegan ranch, and your favorite greens! I’m sorry, but the original burger is certainly the original mock meat disappointment. This patty carries a hard-to-describe smoky flavor that is far too artificial to really be enjoyed. If it’s your only option, be sure to load up on the toppings! In case you haven’t noticed, Boca is far from the only company providing plant-based meat alternatives. From the beloved Beyond Burger from Beyond Meat to the incredible fishless filets from Gardein, delicious vegan meats abound! Here are a few of the best vegan meats to try. Not veg yet? 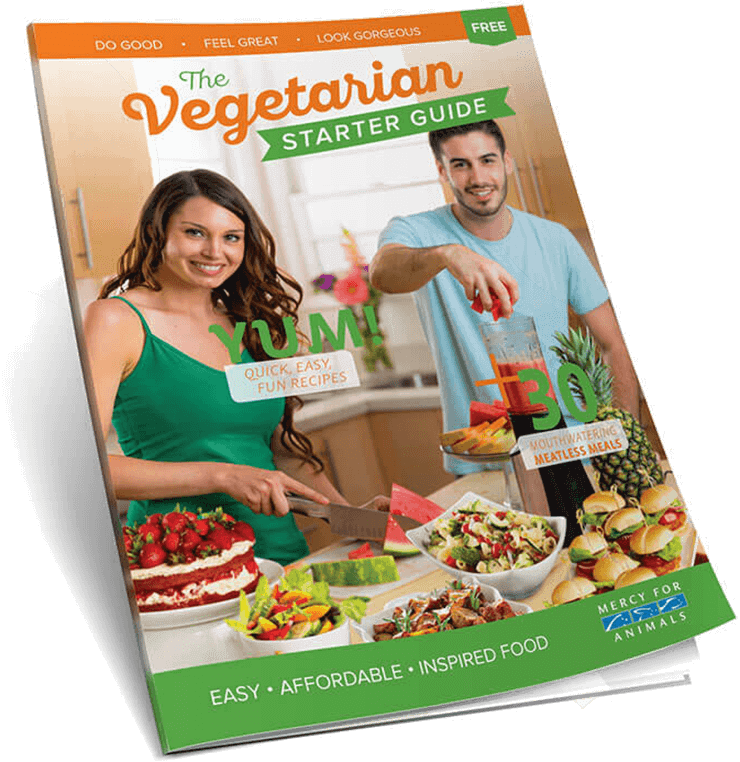 You can get vegan recipes and more by ordering a FREE Vegetarian Starter Guide today.